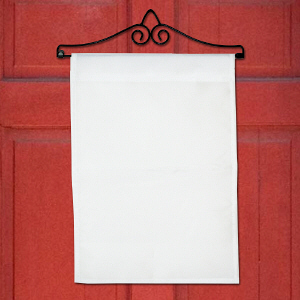 Pay a wonderful tribute to a loved one who passed by displaying this memorial garden flag in your yard or garden. 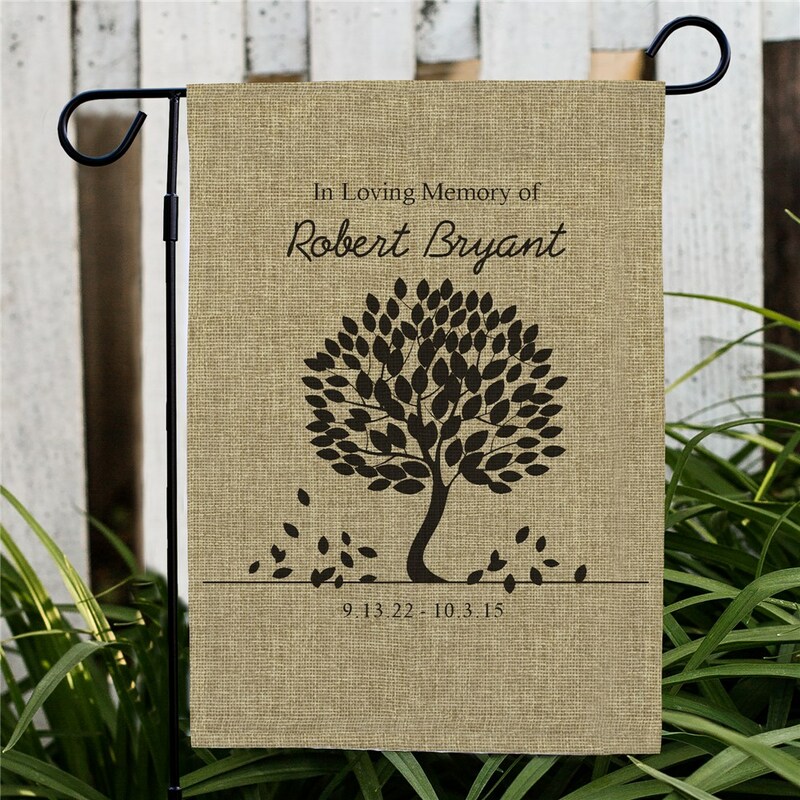 Personalized garden flags may be custom printed with any name and memorial dates to to truly honor the one you love. The Memorial Flag is beautiful and came in a timely manner. I am pleased with the style and quality. 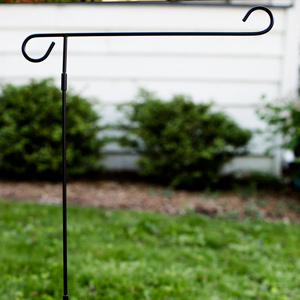 I've not hung it outside yet so I can not speak to the durability and longevity. I've ordered five or six flags from GiftsForYou Now and have been pleased with the quality of all of them. If they hold up I will continue to order from this company. What a great product!! Lost my son...a firefighter...as a result of a fire. Have this flag in the garden next to the entrance of our house. Keeps his memory alive and allows people to remember him as they enter. I even purchased a second one in case this one deteriorates in time. So far, it's looks as good as the day we got it. 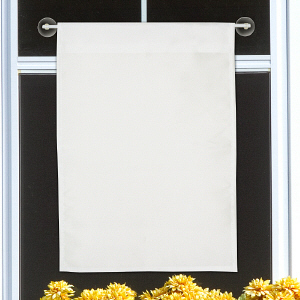 Also consider a memorial garden stone for year round reminiscing and honoring your loved one.